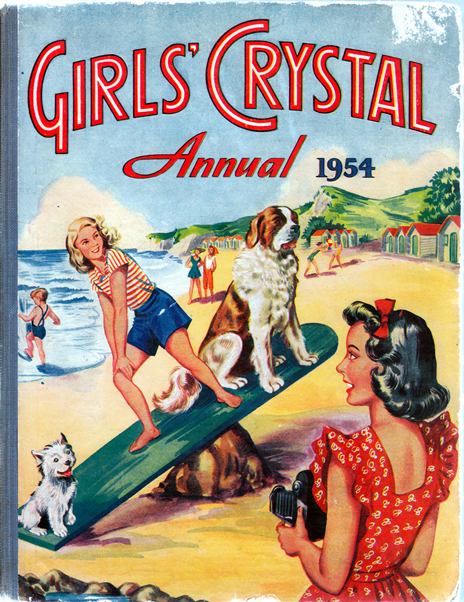 Girls' Crystal Annual 1954 – Christine Landon, Renee Frazer, Enid Boyten, et al. Author: Christine Landon, Renee Frazer, Enid Boyten, et al. Publisher: The Amalgamated Press, Ltd. Description: Consists of 13 short stories (including The Threat to Their Christmas, Kala and Her Jungle Pets, Her Father Was An Outlaw, and The Clue of the Seven Candlesticks); plus an additional 5 'picture stories' (b&w comic strips), including The Snowball S.O.S. That Brought Them Thrills. 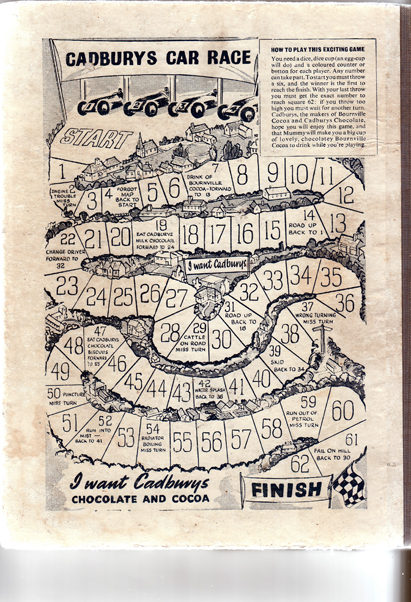 Also features a Schoolgirl Quiz, Market Maze, and Picture Crossword – only the latter has been solved (using HB and coloured pencil). Illustrated throughout with lovely b&w drawings. Contains one colour frontispiece entitled The Square Dance at the Co-Ed School. Pictorial boards with faded blue cloth spine. Covers are worn and nicked along their extremities (refer to both images). Unclipped (bears original price of 7/- NET). Attractive London County Council prize plate, dated June 1954, affixed to ffep. Pages are lightly tanned, but appear to be completely free from foxing. Binding is sound. Measures 24.5 cm × 18.5 cm (9.8″ × 7.4″). Oversize 8vo. 191 pp.